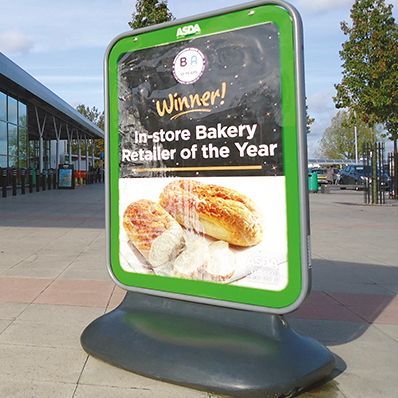 This system can be left outside for prolonged periods while the posters can be changed in situ. 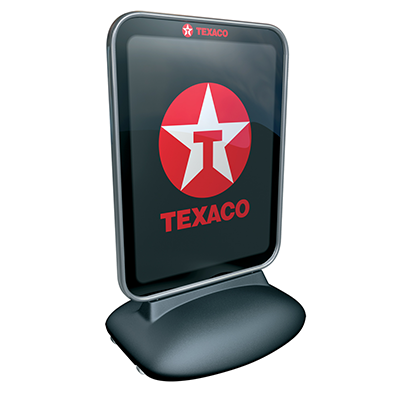 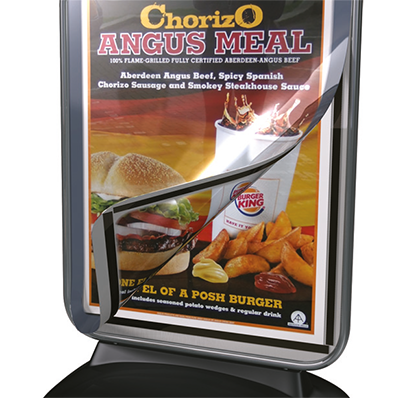 This stylish system is ideal for locations where regular updates occur providing an eye-catching display for your latest offers, sales, clearances, etc. 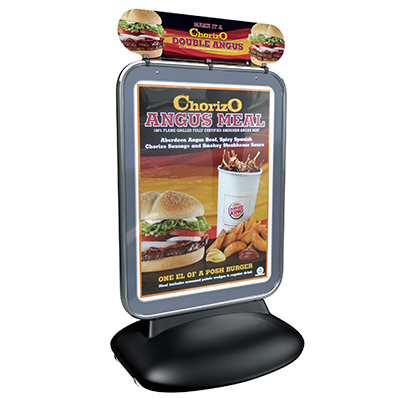 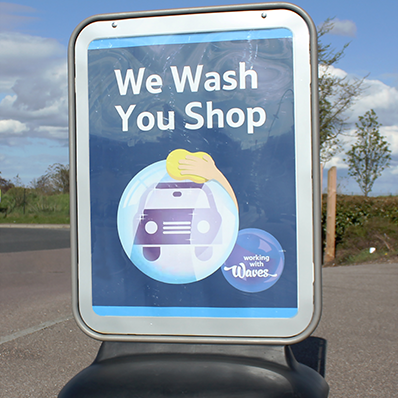 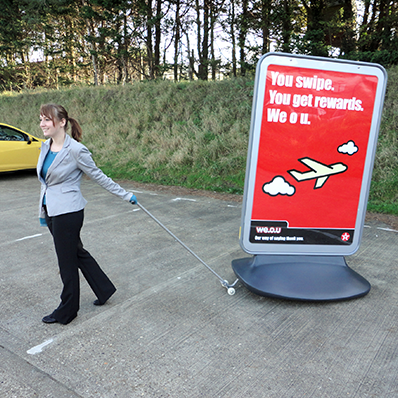 This high impact poster display is commonly found on garage forecourts, fast food outlets, supermarkets, retails parks, etc. 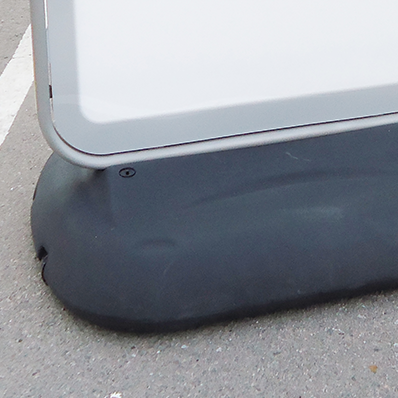 Built in wheels make it easy to move into position.